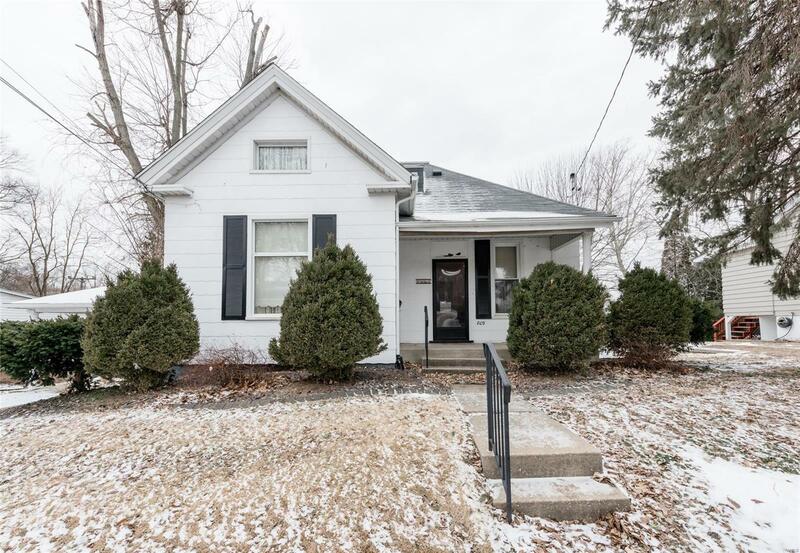 New to the market is this well cared for Edwardsville home near downtown. Currently a 2 bedroom, but the attic could be finished to accomodate a 3rd. The screened porch right off the kitchen, overlooking the backyard is an added bonus. Some aesthetic updates would bring this gem back to life! Windows were installed in â95 from Abert siding. They are Ply-Gem premium, lifetime warranty. Roof was installed in August 2011 with 25 year warranty, and outside painting and brick tuckpointing on foundation and porch and carport steps were all done in August of 2014. Furnace and air conditioning have always had Ernst Heating and Cooling checkups twice a year. Property is being sold as-is.